There’s nothing more relaxing then Sunday afternoon, especially after the insane week I just had. The husband and I just got back from an amazing long weekend in New Orleans, one of my favorite cities. Unfortunately, the Wifi we were suppose to have in our apartment wasn’t working so I wasn’t able to post this week’s Idol recipes. The competition on American Idol continued in Vegas so I let one of my favorite restaurants in Sin City inspire my recipes. I’m a massive Bobby Flay fan and Mesa Grill is a must visit next time you’re in the mood for some delicious southwestern cuisine. 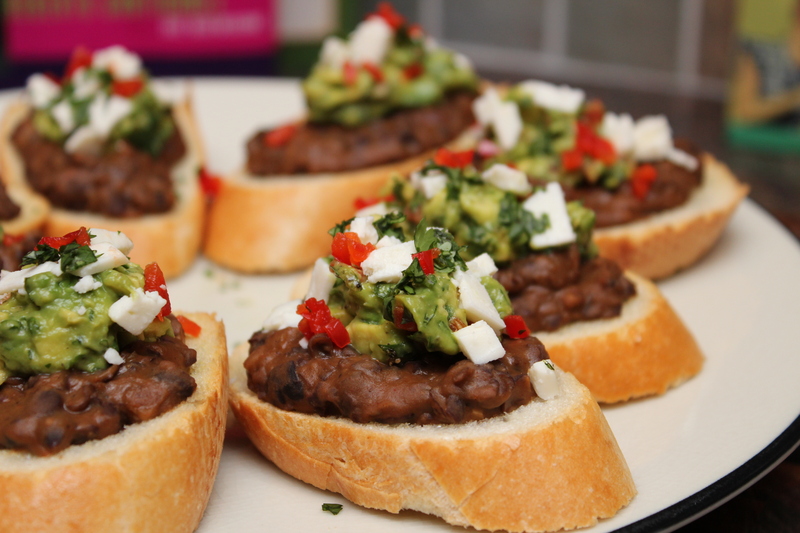 So for my first Idol inspired recipe I’m putting a twist on an Italian classic with my Black Bean Bruschetta. Check out this season’s American Idol recipes on Lyndsey Parker’s Reality Rocks Blog! 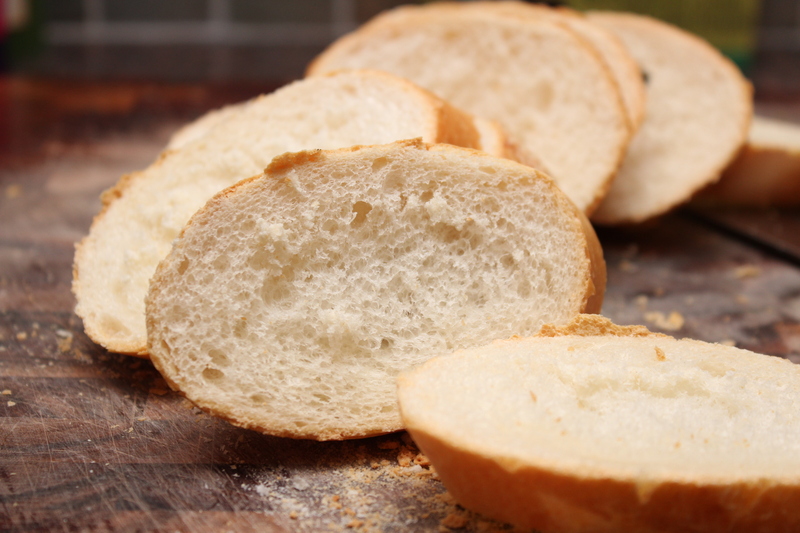 Slice the baguette into 8 thick slices, around ½ an inch, and spray with the olive oil spray. Bake until warm and crispy. Remove from oven and set aside. Heat one teaspoon of olive oil in a medium saucepan over medium high heat. 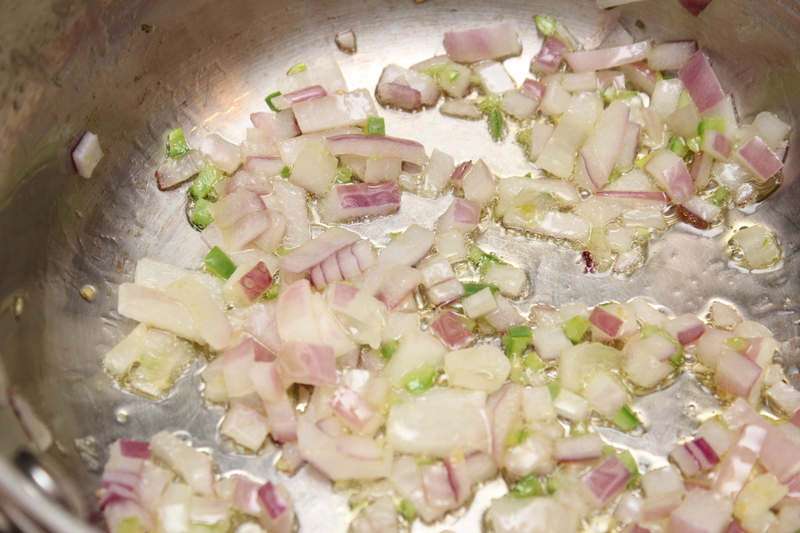 Sauté the onion and jalapeno until softened, around 5 minutes. 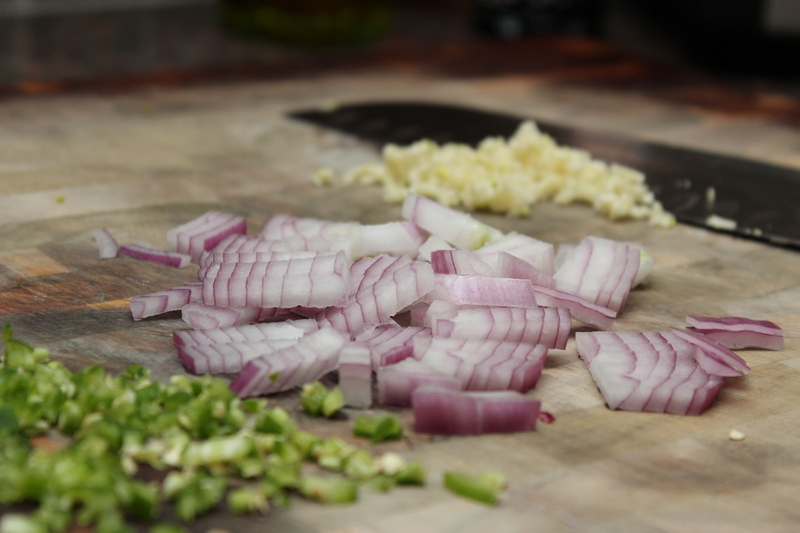 Add the garlic and sauté until fragrant. Add the black beans and next 5 ingredients, through the chicken stock, and bring to a boil. 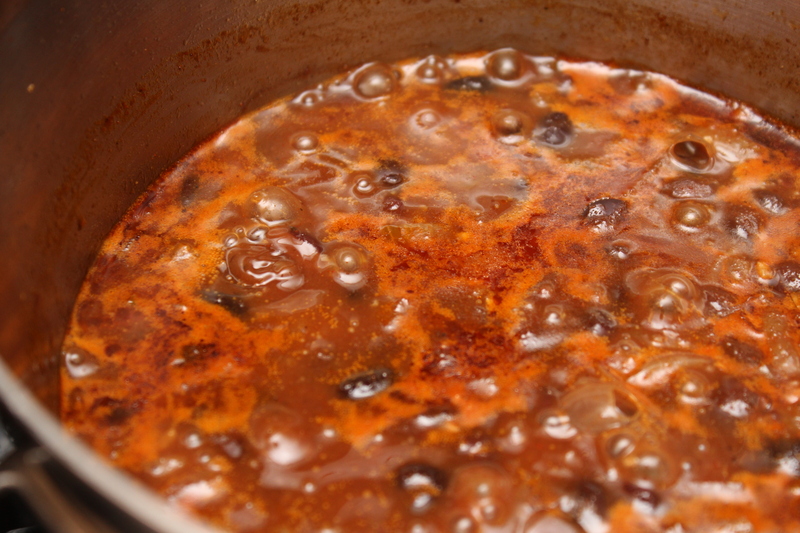 Simmer until the liquid has reduced by ¼ cup, 15-20 minutes. While the black beans cook combine the avocado and next 5 ingredients in a small bowl, through the black pepper, reserving ½ tsp of cilantro for garnish. Set aside. Swirl the cream into the beans and using a potato masher mash the beans until nice and creamy. Taste and adjust seasoning accordingly. Spoon the black beans on top of the bread and top with a tablespoon of the relish. 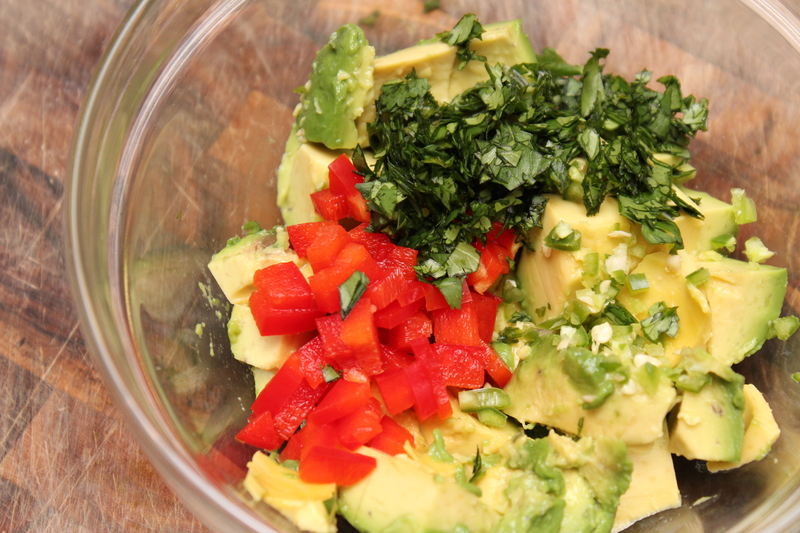 Sprinkle with the cheese and cilantro. Last week came and went in a flash with another person sent packing during American Idol’s Top 12 week. The gorgeous and talented, Karen Rodriguez, couldn’t quite bring in the votes with her version of Taylor Dayne’s “Love Will Lead You Back”. Her time may be up on Idol, but I have a feeling we’ll be hearing more from Miss Rodriguez. **Side Note: girl was looking fierce in that black sparkly dress and sky high boots. Whether you were dabbing your tears or jumping for joy over Karen’s departure, I hope you had the chance to enjoy my Idol top 12 recipes. Yahoo’s super fab music lover and creator of the popular “Reality Rocks” blog, Lyndsey Parker, posted some more quick and easy snacking recipes from yours truly.